I decided to purchase a silver 1989 Chinese in Hawaii Bicentennial coin (2M-45) even though it does not match the picture (2M-45) in the M&R guidebook. This is my third go around to investigate this coin online. It is highly likely that the M&R picture is incorrect. 1. 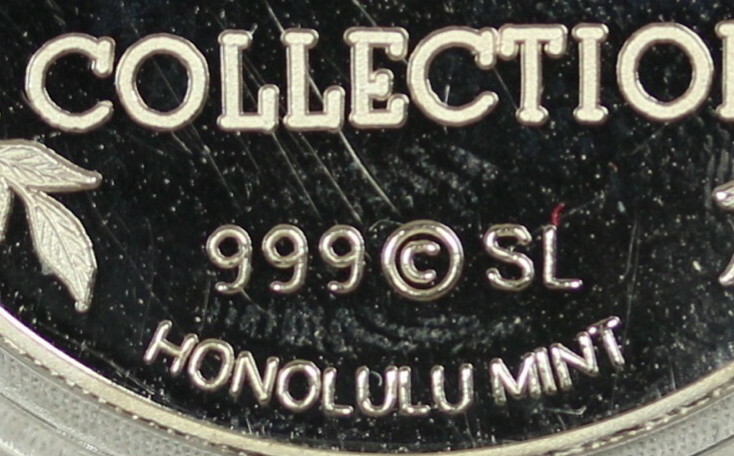 Proper copyright by Honolulu Mint designer. The © SL can be seen above Chinese. SL is for Steven Lee. 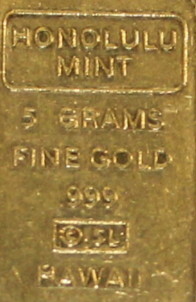 The © SL can also bee seen several Hawaiian coins, medals, and bullion bars. 2. Proper reference to creating the Chinese in Hawaii Bicentennial Celebration medal is online. 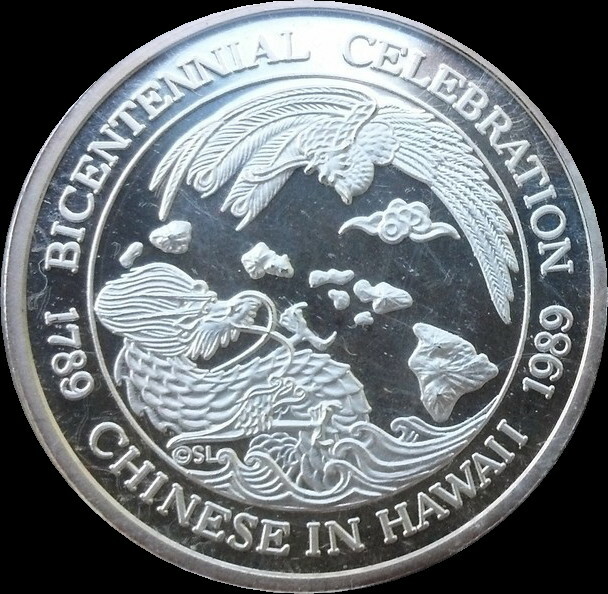 The 1989 Chinese In Hawaii Bicentennial medal is most likely the launch coin/medal for the Honolulu Mint making it very desirable to collectors. However, I did locate additional information on 2M-48 and 2M-49 and its very limited.